I can't think of anyone who does not like Maggi. 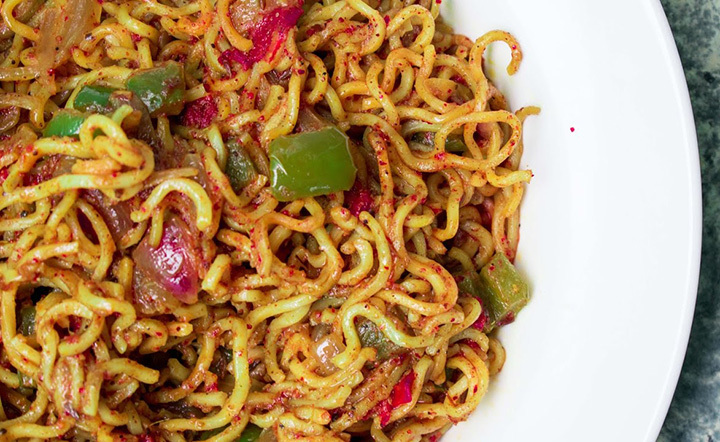 Be it, youngsters or elders, Maggi is everyone's favourite alike. 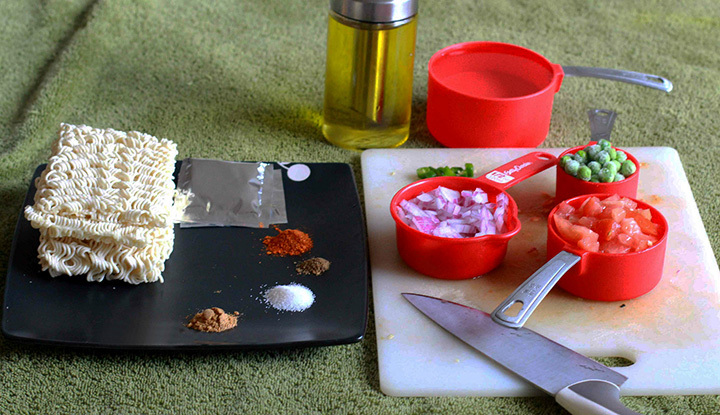 Have you ever been to those hilly areas which serve spicy masala Maggi? We all crave for it once we are back homes. How great would it bring back the same taste? Let's get started with amazing street style Maggi. Take a pan and add ginger garlic paste in butter. Cook for 2 minutes on full flame. Now, saute all the vegetables in this pan except for onion greens (we'll add that later). Let it cook until the vegetables get tender and the oil starts to separate. In another pan start cooking Maggi and add garam masala, chat masala, coriander powder, cumin powder, red chilli powder, turmeric and Maggi masala. When the Maggi is almost done add the vegetables and give a nice stir. Garnish with onion greens and fresh cilantro leaves. You can also garnish with some grated cheese. Try this wonderful recipe at home and let us know how did you like it. I am sure your friends/family would totally love it.